Since my taste largely developed and was greatly influenced by European late romantic and 20th century music, I involuntarily kept at a certain distance from the jazz music. The reason for this is the role of the form. Whatever the form of the classical or contemporary classical music is, it is always well thought in advance, it is not arbitrary, it is purposeful and plays a big role. The absence of expedient form in jazz, as a side effect, is responsible for other phenomena, like the absence of broader timbral dramaturgy, forcing the piece of music to be more monotone, less rich in color and dynamics. This is, of course, a very subjective attitude. Jazz fans can, for sure, present other strong arguments in their favour, and I absolutely agree. Yet, “Golden Land” by the Bester Quartet is not a pure jazz music, as I understand it. The variety and thoughtfulness of the form is very pleasing and rich, it is by no means arbitrary. Moreover, other two dimensions of this CD – klezmer music and influences from various world music traditions – now perfectly agree with the logic and history of Western classical music. Timbral variety (percussion, accordion-bayan, violin, trumpet, double bass, cello, clarinet) is excellent, acoustic decisions are apt and pleasing. The CD features free arrangements of the music of Krakow Yiddish poet and songwriter Mordechai Gebirtig (1877-1942), who, alas, shared a fate of many in the great catastrophe, the Holocaust. I bought the CD under review after the concert of Bester Quartet on the 24th of November 2013, which happened under the framework of Vilnius 16th International Accordion Festival. I am not sure whether members of the Bester Quarter knew that a year prior to that, Lithuanian pianist Darius Mazintas and a tenor Rafailas Karpis released a CD “A letter from the past. 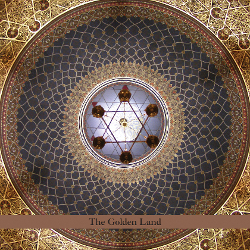 Yiddish songs”, and that CD features three of Mordechai Gebirtig’s songs, two of which, “Kinder Jorn” (Kinder Yoren) and “Reizele” (Reysele) are also featured on the “Golden Land”. Truly it is a great experience to listen to both interpretations.